These birds will not sit still for me. 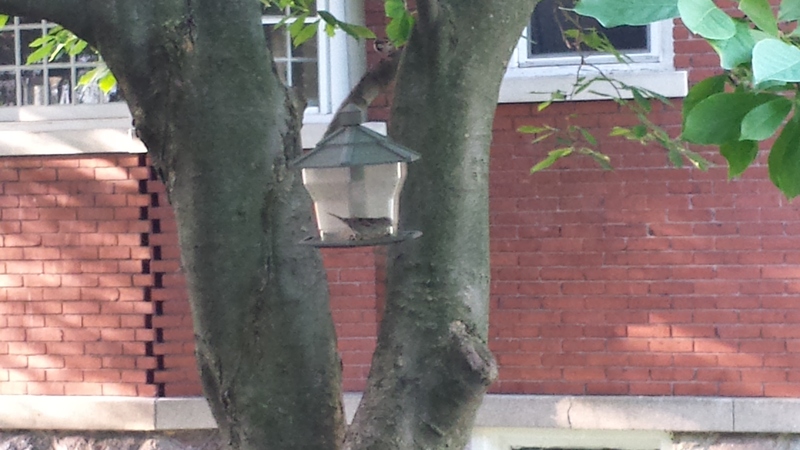 Or rather they won’t perch still on the feeder in my magnolia, just off the porch. It’s like they know I’m here with my phone camera trying to snap a picturesque shot, or maybe they think I want to literally shoot them. Finally I caught one in an unguarded moment. I out-waited nature. This quiet natural world is so fresh today, the 29th of June. It forms a piece with last night’s twilight, when my street was suffused with a still, golden glow. Then, the air hung dreamily with memories of the day, the long morning walk with Andrea, the late-afternoon ice cream social busy with kids on bikes and neighbors yakking. Like the day just didn’t want to let go quite yet. Now it is an air of gentle expectation that stirs around me, buzzing with birds, the soft whooshing of faraway cars, a wooly cat walking by. Lots of things could yet happen, but nothing is happening yet. Not for me anyway, on the porch in early summer. In the morning, when we rise. That’s the time, that’s the time, I love the best. 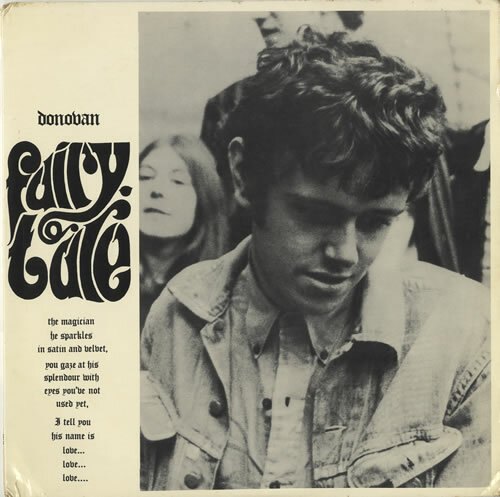 I used to listen to the song “Colours” by Donovan, on his 1965 album “Fairytale,” in the East Lansing apartment of my sister, Maureen, and her then-boyfriend John. Those were magic mornings, rich with the smell of fresh coffee, Maureen and John’s shelves of musty books, the mysterious cat Rowrbazzle, the hanging spider-plants and the owl-shaped candle-holder. Other wonderful nuggets on that Donovan disc were “To Try for the Sun,” “Universal Soldier” and “Sunny Goodge Street.” But “Colours” had a special zest, a spirit of freshness and new life that stays with me to this day. That’s the time I love the best. Here I am in early summer, some 50 (!) years later, still humming the song and enchanted by the new life of this day. Who knows what it will bring? I only know what it gives me now: a soft breeze, the quiet stirring of expectation, and birds who won’t perch still. Rowrbazzle is still one of my favorite cats in this life, along with Emma the cat, of course! Hi Marg! I missed this comment. Wow, you met Donovan? Wonderful. Good to hear he is cool, since they aren’t always so, these stars. Makes me smile that you remember Rowrbazzle. He was one of a kind, for sure!